In this project you will develop an experimental method to lock the length of an optical cavity with a precision better than 0.1 nanometers. The optical cavity comprises two high-quality mirrors, one of which has a radius of curvature of a few micrometers. Using these two mirrors, we can confine light in micron-scale volumes for long times. This enables photons to interact and fascinating nonlinear physics to emerge. We already have a state-of-the-art setup with which we can fully control the position and orientation of the two mirrors with piezoelectric actuators. However, due to environmental (thermal, mechanical, etc.) fluctuations, the cavity length drifts in time. Your goal will be to solve this important problem by stabilizing the cavity length for long periods of time (>minutes) using optical feedback, electronics, and piezoelectric actuators. In achieving this goal, you will acquire valuable skills in optics, electronics, and feedback & control systems. In the Interacting Photons group we are interested in nonlinear and quantum behaviour of light. We focus on tunable systems where light and matter can hybridize, thereby leading to effective photon-photon interactions. We have strong connections to other groups in the Netherlands, France, and UK. 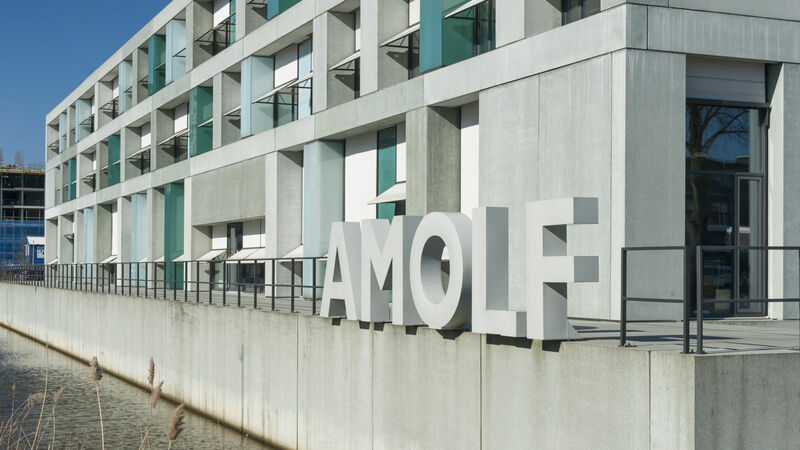 You will have extensive support from the group leader and the technical staff at AMOLF, particularly from the electronics, software, and mechanical design department. You have a BSc in Electrical Engineering, Physics, Mechanical Engineering, or a closely-related discipline. Lab experience in optics/photonics is not necessary— you will get it here. A background or strong interest in any of the following is appreciated: control systems engineering, electronics, optics. This project involves collaborative work, so we are looking for a team-player. The internship must be a mandatory part of your curriculum. You have a nationality of an EU-member state and/or you are a student at a Netherlands University.